Do you think Tudor is Royal British familie? Yes it is. 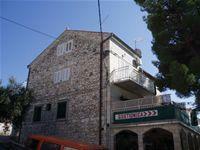 But also many, many Croatian Tudors lives at island Hvar, this one lives at Milna, Hvar. Come to Croatia and stay with Tudors. Submitted by Admin-info on Sat, 04/06/2013 - 12:40. Crusaders on their way to the Holy Land often passed through Croatia. It is possible Tudors at island Hvar were related to the king. Submitted by Admin-info on Tue, 04/03/2012 - 21:37. I am just wandering if they are related with Hanry VII Tudor, English king?